Set-up and make the most your free Google MyBusiness account to grow and drive customers to your business. It is imperative to have a Google MyBusiness account set up for your free listing and show up in Google Maps in search results. Add your business logo, pictures of your products and establishment, hours of operation, if you offer deliveries, walk-in traffic, credit cards, holidays opened and closed and everything about you business buyers need to know. No business should be without it. This is an important part of your digital strategy for forging the best online presence for your business and website. Update your Google MyBusiness listing anytime. Take charge of what people see when they do a local search for your business or shop using generic keywords and do not have a business name in mind yet. Google My Business gives you and your business the tools to update your free listing and engage with your customers from your phone, tablet and computer. … And it is all for free. 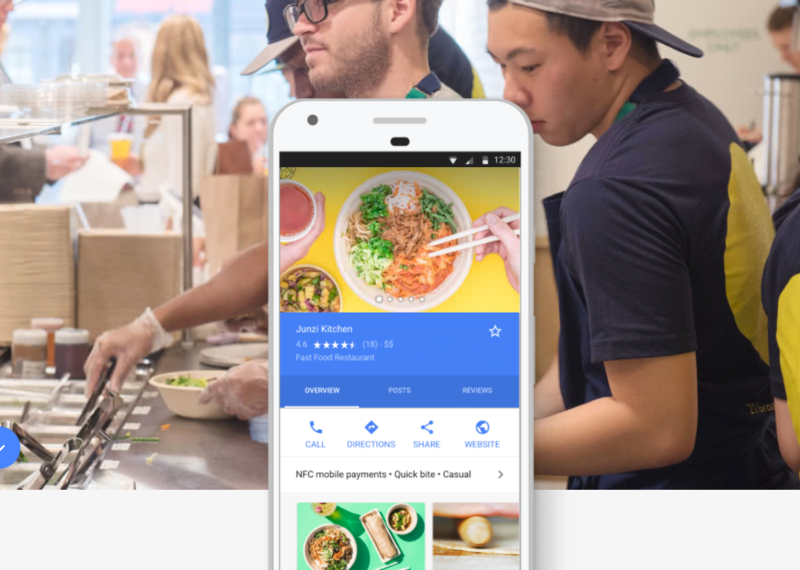 Build loyalty with a Google MyBusiness website. With Google My Business, you can create a simple basic website that looks great. It’s completely free, and web easy to create and edit from your computer and phone like a professional.